Target species right now: Redfish, Sea Trout, Snook, Ladyfish, Jack Crevalle and Bluefish. Fishing tactics: Work the oyster beds and edges of the flats as the tide drops with shrimp and crab imitations. Shift to the mangroves as the tide rises using baitfish imitations. 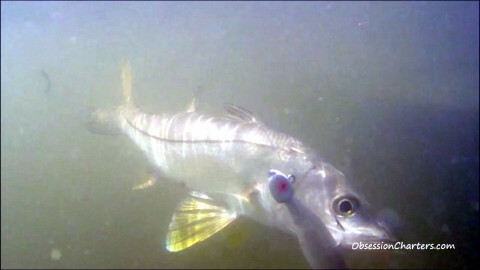 My fly fishing tip of the week: Redfish and snook are spooky on the flats right now due to very clear water. Lengthen your leader and use flies that land softly. You'll only get one or two presentations before the fish get lockjaw. My spin fishing tip of the week: Blind casting the flats and mangroves from a long distance away is your best bet right now. Select lures that land softly and suspend just below the surface. 7 day outlook: Light winds and no rain! Perfect fishing weather. 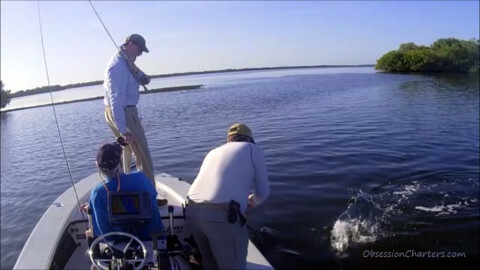 There are some jack crevalle and huge snook on the flats so up-size your leaders and bite tippets. Sight fishing opportunities are excellent right now if you keep your distance and make long casts. Please be courteous to others fishing on the flats. Leave them lots of room – better yet go to another flat.